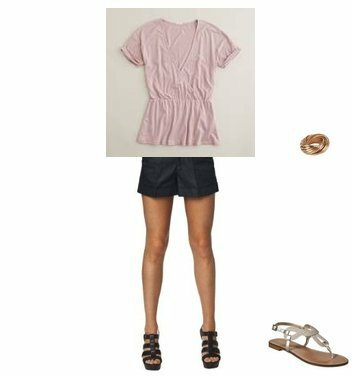 Reader Ashlee is heading to Florida in late June with her husband and wanted some outfit ideas. She wants to be comfortable as they will be doing a lot of walking around but still wants to look cute. Her budget is $300 and she likes Jennifer Aniston and Reese Witherspoon. She mentioned loving the color coral, leopard print, and skirts/dresses so I tried to incorporate those into the looks. Here are the outfits I sent Ashlee, I tried to reuse some of the pieces to keep it under $300. All of the pieces should add up to $170.79 if I did the math correctly, so yay for coming in under budget! Click on any of the images for more information unless otherwise noted. Click HERE for the ring shown in this set as well as several others shown below. I threw this maxi dress in for a nicer dinner out option, but it is still comfortable and easy to wear!